2 large strips of Lemon Peel (pith removed). 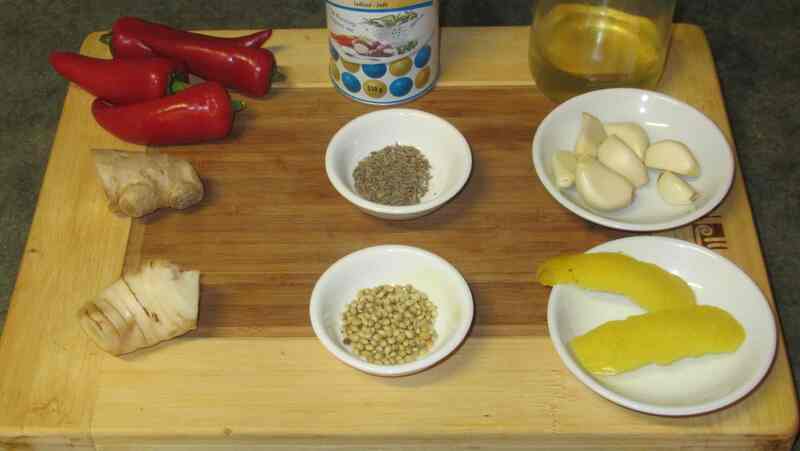 Other common ingredients for spice pastes in this region are fermented shrimp paste, Lemon grass, and, especially in Thai cuisine, Cilantro (Coriander leaf) and Coriander Root. I am aiming for a very basic (but extendable) paste so I have kept the amount of chili to a minimum and omitted the shrimp paste. I am not fond of Cilantro (and this is more used in green rather than red Thai curry pastes, anyway) so it will not make an appearance here. I have also substituted a little lemon peel for the lemon grass as it will provide something of the flavor without the rather overly assertive ‘Citronella’ taste that lemon grass can sometimes have. First, toast the cumin and coriander seeds in a dry pan until they release their aromas and then grind them together in a mortar. 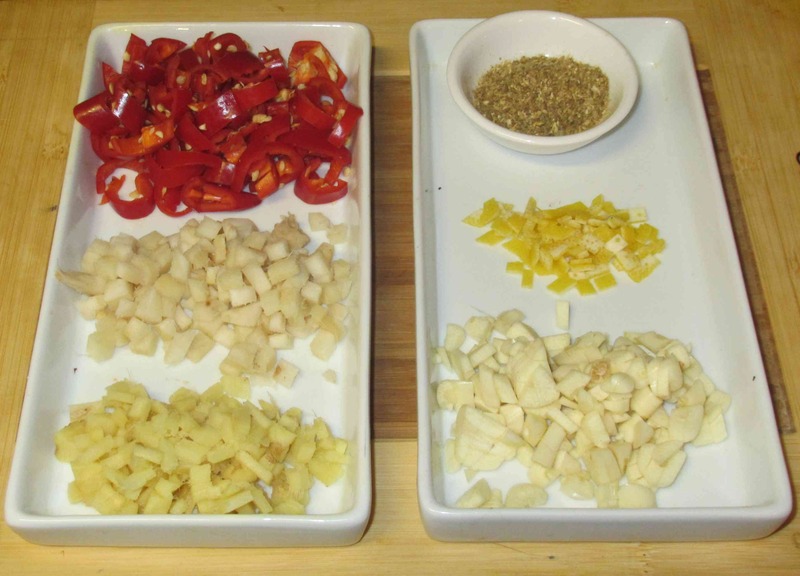 Next, peel the ginger, galangal and garlic and chop them coarsely, and then finely chop the lemon peel. 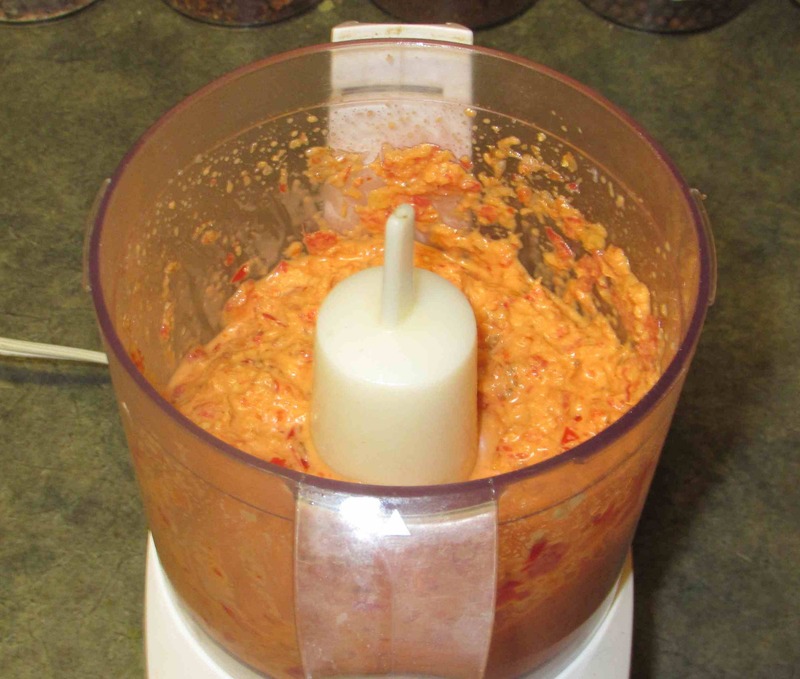 Add the chopped ingredients to your food processor along with the salt and then add the oil slowly as the mixture is being processed in order to keep the blades turning and form a smooth paste. Don’t worry if some tiny pieces of chili are still visible. Finally, turn the mixture out into an appropriate container for storage. If you will not be using the entire contents within a week or so, pour in enough oil to form a thin covering over the surface and prevent long-term contact with the air. You should find, if you follow this recipe, that the result has a really heavenly aroma. The taste, however, will be a bit pungent and sharp in the raw state and you will probably only wish to use it in cooked preparations. 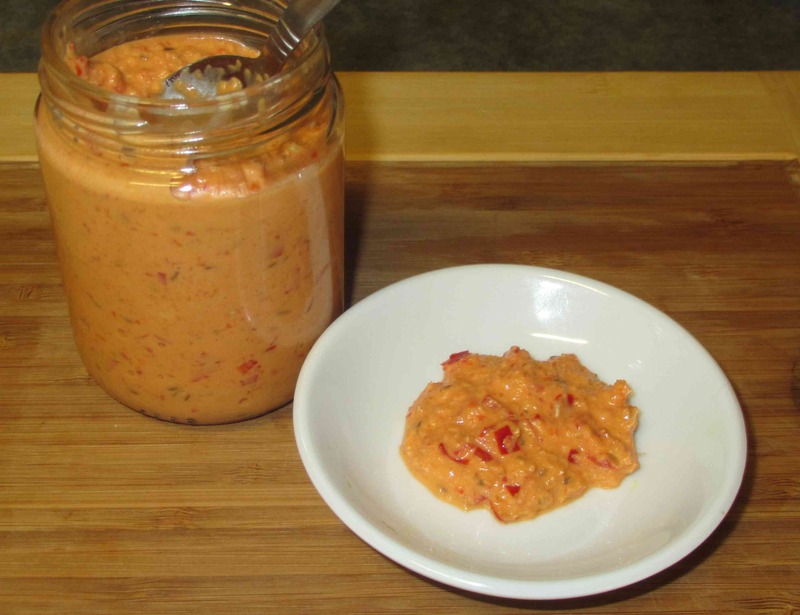 Basically, just use it in any recipe that calls for Thai red curry paste, or similar blends, adjusting the quantity for the heat level and saltiness. If you like, you can cut down on the amount of salt I have used, but a good teaspoon is in order if you plan to store the paste for any length of time. I make something very similar except that I use coconut oil(healthier and tastier) I use lime instead of the lemon. It’s really nice. The coconut oil tends to be solid or semi solid at room temp so I put it in a saucepan of hot water and let it melt. It takes to heat much better than vegetable oil, and I don’t think I’ve ever heard of it going rancid, where as veg oil can be rancid when you buy it but there’s stuff in there that will stop it smelling off. It can be pricey but it’s so much better than other oils, also the refined coconut oil doesn’t have the smell or taste of coconut and is cheaper. Thanks for the info… I’ll pick up a bottle on my next shopping trip. 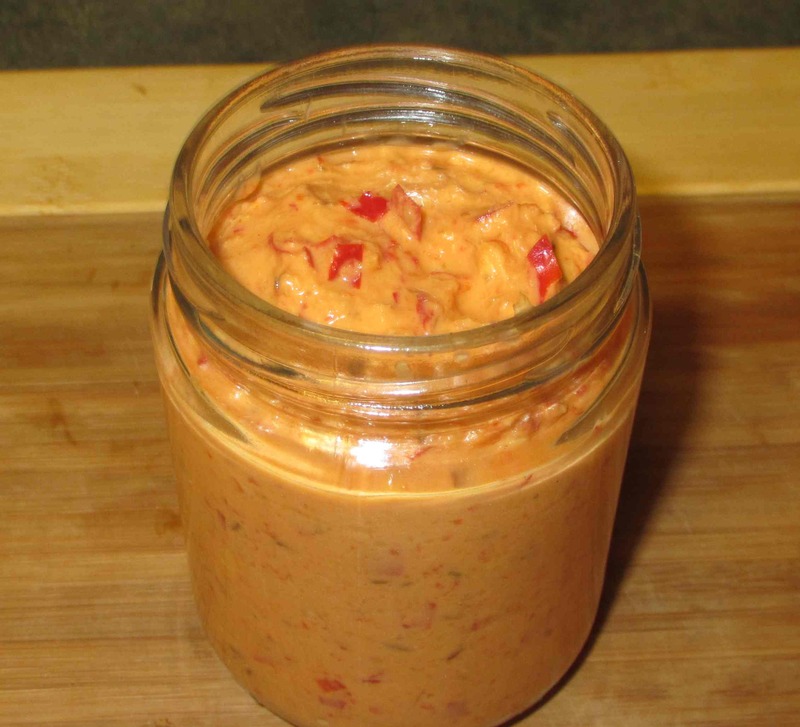 Based on experiences with other pastes, they seem to retain their fresh taste for ages. I even have a salted chili paste that is still as vibrant tasting and nicely colored as it was when I made it and it is going on 18 months old now. Others remain good tasting but the color either fades or darkens somewhat. This looks great…I plan to try it soon!